United in support of Seattle sports. Redhawks Get Stung by a Bunch of Hornets! Despite a 1-4 Home-stand, Things are Looking Up for the Redhawks! 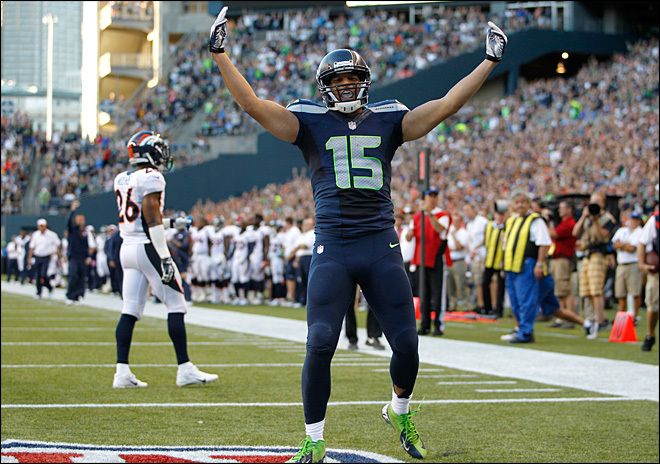 Seahawks wide receiver Jermaine Kearse signed a 1 year tender for $2.35 million. Kearse was a restricted free agent; however, there were no teams willing to give up a draft pick for Jermaine. Kearse was 2nd in receptions (38) and in receiving yards (537) for the Seahawks in 2014–his third NFL season since signing with the Hawks as an undrafted free agent in 2012. The Lakewood High School grad (as well as the University of Washington alum) came up big in the playoffs for the second straight year, catching two postseason touchdowns, including an iconic 35-yard game-winner in Seattle’s NFC championship game victory over the Green Bay Packers. Kearse also had an amazing 4th quarter catch that put the Hawks inside the 10 at during the most recent infamous Super Bowl. Kearse returns as a veteran presence to stabilize the receiving corp which is in flux. Abraham DeWeese is an avid local sports fan and a “Man-About-Town” in the Seattle sports scene. He's a lifelong resident of the Seattle area, living in the beautiful Greenlake neighborhood.